The event is kindly hosted at OpenShine's offices. Cuatro Caminos is quite centric and has a pretty well connected tube/subway station. 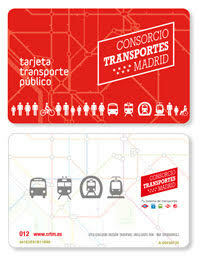 Using the tube/subway in Madrid is the best means of transport though the bus service is also top notch. When you arrive at the airport, you should buy a top-up travel card much like the Oyster in London, the Tarjeta Multi, that you can top-up to use at the subway and the bus network in Madrid. The card costs 2,50 EUR and 10 trips is about 12,20 EUR. If you go from-to the airport there is a special fee of 3.30 EUR that you have to add to your travel card. This hackfest is a follow-up of the two previous ones (https://wiki.gnome.org/Hackfests/Rust2017 and https://wiki.gnome.org/Hackfests/Rust2017-2). The goal is to improve the interoperability between Rust and GNOME, improve support of GNOME libraries in Rust. This is already well started and we'd like to go even further! Discussing further on gtk-rs release process?